Reassurance shield as we head out of Goldsboro. A couple miles later we’ll enter Delaware. 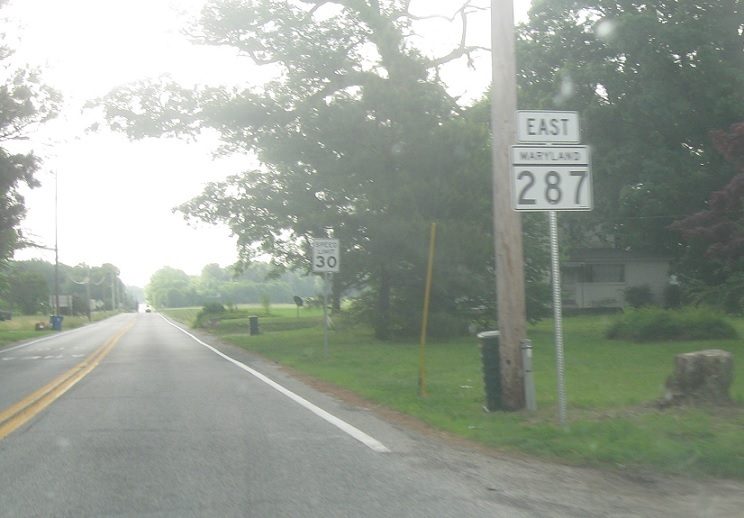 MD 287 continues as Delaware 10.